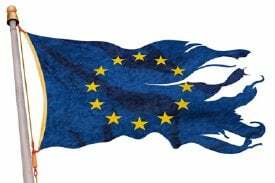 A perhaps controversial U.S. viewpoint from Guy Christopher* on the fallout post-Brexit, who discusses calls for a similar break from the EU by a number of countries. Gold (and silver) have been the major beneficiaries as markets dived and currencies collapsed against the dollar and the yen. We have since seen something of a turn back towards the status quo, but geopolitics and geo-economics remain shell-shocked. 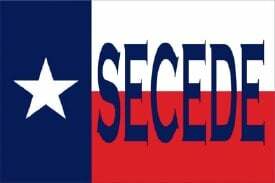 Secession fever is even apparent in the U.S., although in our opinion this is a total non-starter – but, who knows…..
“It’s always a dangerous thing when you leave democracy up to the people,” joked Varney’s guest – venture capitalist and author Peter Kiernan, as they watched Britain vote Thursday night to escape the European Union. The dust is still settling after Britain’s seismic Brexit vote June 23rd. At issue: who should control British economic and immigration policies – Brits themselves, or unelected bankers and their bureaucracy stooges. A choice between the liberty of self-determination or the tyranny of faraway cronyism. While the gritty election fallout spread through rattled markets and wafted into plush offices of banking’s money masters, the hard and fast implications were clear. The British Empire stood tall on what outspoken political leader Nigel Farage called Our Independence Day. The Brit’s dramatic decision is the latest revolt of those fearing the loss of personal and national identities. Until Brexit, the populist revolution against powerful centralized world order was a series of smoldering brush fires. The Brexit victory has now kindled a wildfire. Spanish Catalonia was all set for independence from Spain in 2014, until stopped in its tracks by Spanish courts. Scotland the same year managed to muster 45% of three million votes in a losing bid to leave the UK. Quebec voted down independence from Canada in 1995, but has never stopped talking about it. Strong political voices in Italy, France, Austria, and even Germany are shouting to preserve national identities or else to leave the EU. Italy’s Five Star separatists claim support of half that country, and have just elected Rome’s mayor. Political leaders in the Netherlands and Poland, just hours after the June 23rd British Revolution, made it clear they will push for a Brexit replay. Scots lost no time in restating their intention to separate from Great Britain. The big loser so far in the fight for economic self-determination is Greece. Up to their Parthenon in debt for the next hundred years, Greeks elected Alexis Tsipras as Prime Minister, who promised to stiff Greece’s banking creditors and give Greece a new start. But Tsipras turned on his people, repudiated the cradle of democracy’s historic vote, and left Greece even deeper in debt. Tspiras was channeling an old political axiom – if voting mattered, we wouldn’t let them do it. Some thirty states have circulated petitions recently to gauge interest in secession. Californians have discussed carving their Golden State into three states. Which brings us to the main event in the United States. In twenty weeks, Americans will set a course for the world with their own historic choice – either sticking with what America has right now, or demanding monumental changes to government authority over lifestyles and pocketbooks. The long list of financial crimes by over-bloated centralized governments include trillions in money printing to enrich banks; destructive interest rates to smother savings; punishing taxes; the war on cash to demolish private wealth; suffocating regulations on business owners; and the ongoing crime-in-progress of theft through planned inflation. Unpopular open border policies toward immigration cannot be overemphasized as a driving factor in Britain’s vote, or in the coming U.S. presidential election. You wouldn’t know it from watching or reading most lapdog media, but nowhere was the reaction to the Brexit earthquake more stunning than the immediate rush to gold. In a matter of a few hours Thursday night, gold shot straight up almost one hundred bucks from low to high, stopping just shy of $1360 per ounce. The price perfectly tracked media reports of voting results. As markets cratered worldwide, the message was clear. Gold was the only safe haven – the blue ribbon champ – the last man standing. By dawn’s early light, London dealers were reporting record sales of coins and bars to store-front customers standing in line. Google searches for “buy gold” went soaring 500%. Online sellers had heavy traffic. 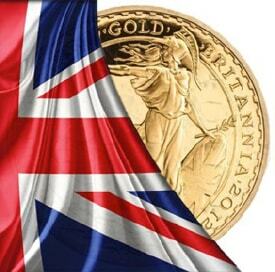 Gold rose 22% overnight in the British pound, 7% in U.S. dollars. Brexit has been all about wealth and liberty – who will have it, and who will protect it. Gold buyers knew the most enduring wealth for 5,000 years has been gold and silver you hold in your hand, unlike the trillions in digital wealth evaporating into cyberspace during Brexit’s aftermath. Wealth is the stored and stockpiled accounting of our labor, time, energy, and talent. We depend on that store of wealth to ensure financial liberty for our families, to pass on to future generations, or just to enjoy a day at the beach without punching a clock. And without being told what to think. Throughout history, gold and silver have been the sole survivors found in the smoking ruins of failed kingdoms, borders, flags, and currencies. As markets began sinking like stones June 23rd, as bankers panicked, and as media pundits blathered, the price of liberty was paid, and the value of gold embraced. Both gold, and liberty, were destined to shine that night, no matter what the cost.